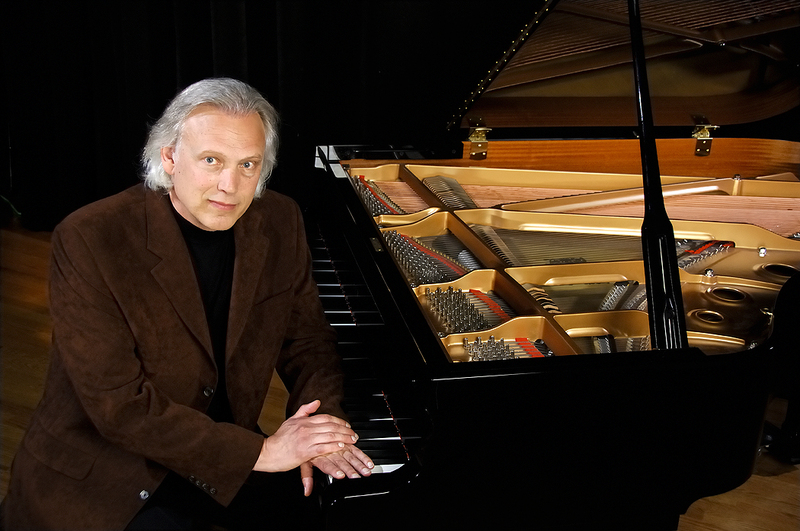 On the last of our Piano Men series, we head to New York to speak with celebrated New-Age piano man David Lanz. There’s music that makes you dance then there’s those that make you sing. David’s music uplifts, inspires, calms – it makes the listener focus inward. Every person is bound to have a unique experience with his music. I personally feel a special connection with David’s Spiral Dance . With its dreamy, soothing melody, I see myself walking leisurely and peacefully in the inner landscape of my heart, connecting with my deepest longings. DL: My mother and grandmother were both piano players. Both played hymns, pop music from their eras, and my mother would occasionally play a little Boogie Woogie! DL: My second childhood piano teacher, Patrick Doyle, taught me ear training, which was invaluable as I began to lean how to compose and learn simple rock and roll songs off the radio. DL: It was a long process of becoming who I am, but I “knew” from about the age of 10 that I wanted to be a professional pianist. From there, I continued to dream how that would take place and several years later I was playing as a professional, in a little rock band, at age 14. DDoA: They say music (or art in general) is a jealous muse. Do you find this to be true? What challenges have you experienced/are experiencing in your personal life/family life because of your profession? DL: My first wife asked me to choose between her and music…that did not go how she planned it! I am now with my life partner, Kristin Amarie, who is also a composer, recording artist and a brilliant singer/musician…so our life together now is built around many of the challenges of the music business as well as the many challenges of an intimate relationship. DL: I have had a very full life in music, beginning with years as a journeyman, on the road and in studios learning my craft. My decision to work in the instrumental/new-age field came about from my meditation practice and general longing to create music to uplift the listener. I have received thousands of heartfelt thanks from listeners about how the music has made a positive difference in their lives. I have had numerous performances ending with audiences outpourings of love and appreciation, and many successful charting and best selling albums. There have been many thousands of pianist studying and performing my music, which has been a complete surprise! All of this adds up to a more than wonderful experience and affirmation that by being my true musical self…the world has given back so much to me because of this. DL: Focus-practice-hard work-getting both your body (fingers) and heart (emotions) in balance with the music. DL: Kristin Amarie and I have just released our first full collaboration…Forever Christmas. We are now beginning a new project that will be featuring original vocal and instrumental pieces. DL: To succeed in music (and many other vocations) you need to stand out as an original. The best way to do this, is to find out who you are…because only then will you be an original…as there is only one of you! Follow your musical heart…be yourself…and PRACTICE!!!! This entry was posted on February 16, 2015 by Paulina Constancia in Care, Communicate, Create and tagged Creative Professionals, love, music.